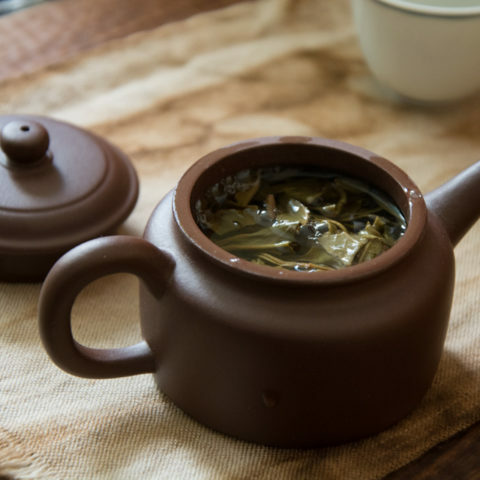 A good teapot is a crucial vessel in your tea preparation, it's the core of the whole teaware universe, it will prepare your tea, help you to handle it well, prepare your mind for the first sip of your tea. I like testing new teapots. 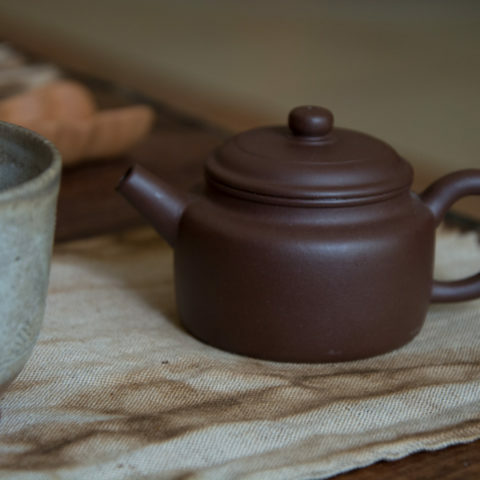 The various shapes and clays can give a different taste and feeling of your tea. This Monday noon I was getting sleepy, there was no time in the morning for tea. So I made my tea at lunch time. A pleasant sun, a kind of warm autumn time makes my teatime always brighter. A lazy sleepy feeling that will be spoiled by the necessity of work and energizing Naka 2016 that was choosen subconsciously. 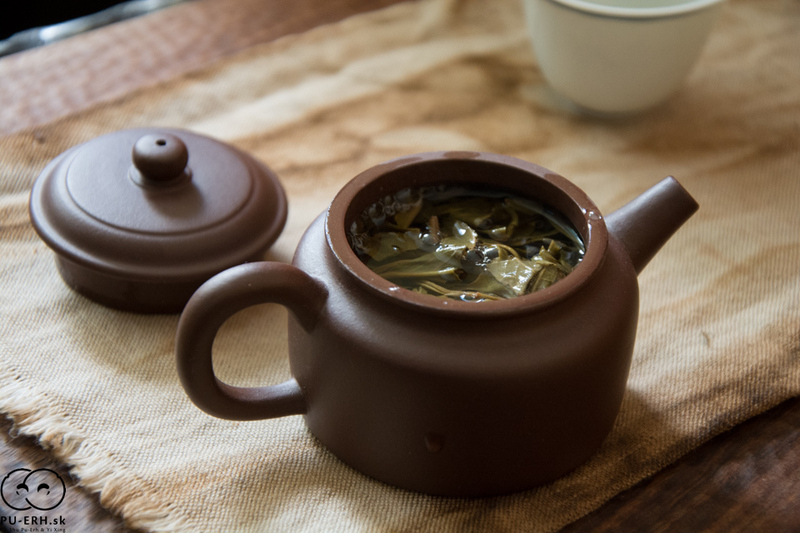 The wide opening of this teapot is perfect for big leafy pu-erh teas, the simple shape tells you that the beauty can be such a simple thing. The unobtrusive brown color of the clay is warm and friendly. The smooth and mat surface of the vessel won’t disturb your mind. 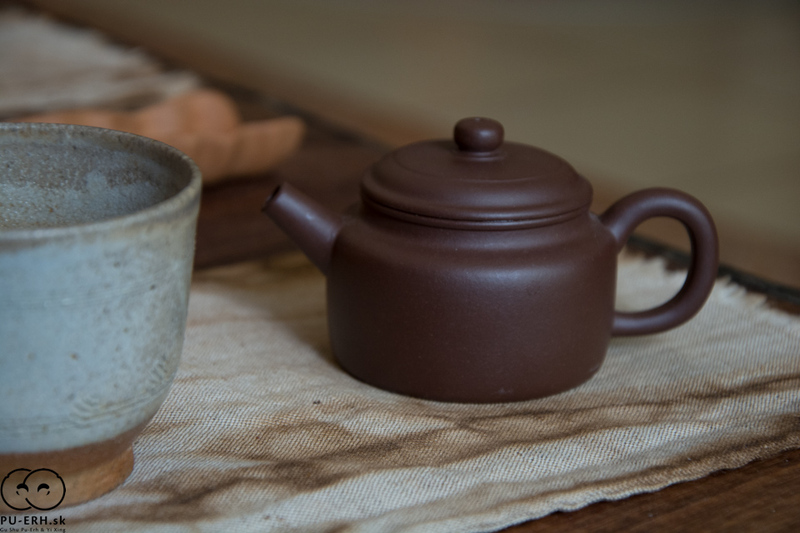 Handling this brown pot is very straight and easy, the handle is wide enough, the size of the spout is perfect, the ball on the lid is well shaped and well off the lid so that you won’t touch it with your fingertips when gets hot. When pouring the tea you don’t have to turn the pot close to 90 degree angle. The lid fits well and has a deep lock (won’t fall off that easily). 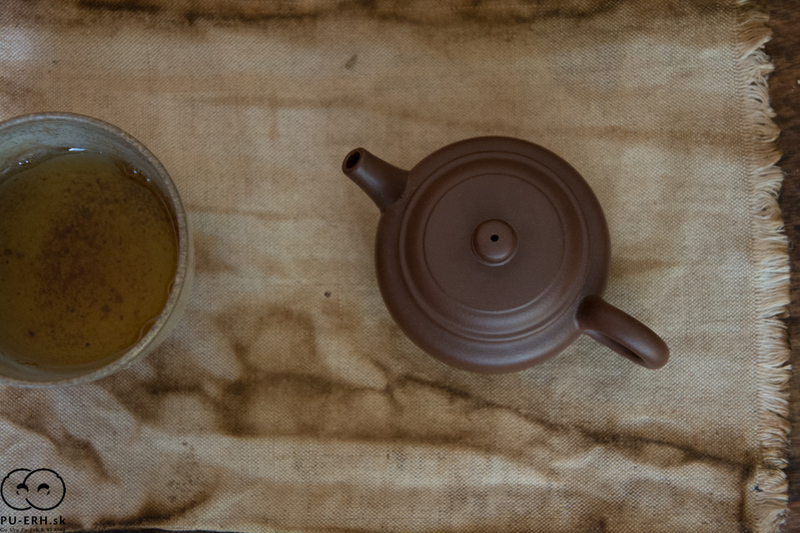 The pour of the tea soup is straight and the sieve of the pot is flat with 9+ holes. 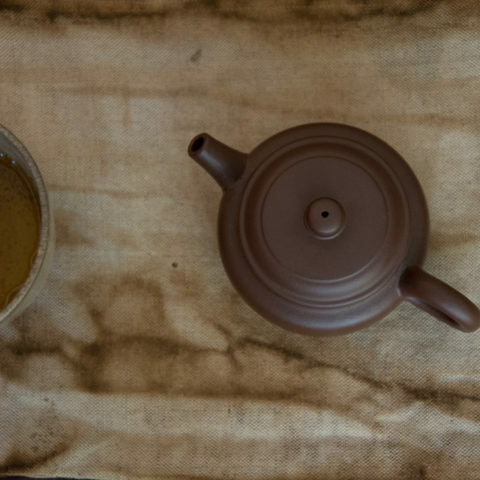 A good teapot is a crucial vessel in your tea preparation, it’s the core of the whole teaware universe, it will prepare your tea, help you to handle it well, prepare your mind for the first sip of your tea. The teapot won’t be the first and the last important ware in your tea séance. A unsuitable cup could spoil your experience of a perfect teapot. It is tightly connected to your teapot. It is the cup you touch with your lips whereas your hands would handle a teapot.